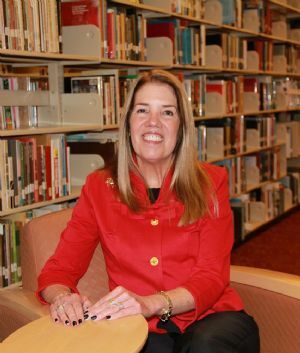 “Cherie Krug, Executive Director of the Garrett College Foundation, was recently named to The Daily Record’s 2016 listing of Maryland’s Top 100 Women. This is the second time that Krug has been recognized as a recipient for this distinction. The Daily Record began Maryland’s Top 100 Women in 1996 to recognize outstanding achievements by women demonstrated through professional accomplishments, community leadership and mentoring. Krug has served as the Executive Director of the Foundation at Garrett College since March 2013. The Garrett College Foundation believes in a better, brighter future for students and the community. The mission of the Foundation is to provide the resources needed to achieve excellence and to promote the mission of Garrett College. A first-generation college student and the first woman in her family to graduate college, Krug explained that access to a higher education for all students continues to be her passion. When hired by the Garrett College Foundation in 2013, Krug became the first full-time Executive Director since the Foundation’s inception in 1982. Approximately 350 women were nominated this year for the statewide honor. Krug was nominated by Ms. Janice Keene, President and CEO of the Evergreen Heritage Foundation. In addition to her professional achievements, Krug is also much involved in mentoring in the community and at the College. Having overseen over 500 AmeriCorps and *VISTA members and countless students in her 11 years with the Center for Volunteerism and National Service, she is very much committed to mentoring students. This past September, Krug became involved in the creation of a new mentoring program at Garrett College, “Secret Mothers,” she explained. Once a week, mentors like Krug, would write letters of encouragement and send to their mentees (Garrett College students). At the end of the fall semester, the mentors and mentees would finally meet. Furthermore, she is much involved and engaged in the following volunteer-related and non-profit organizations: Women’s Civic Club of Oakland, Garrett County United Way, Garrett County Commission for Women, Oakland Rotary Club, and Mountain Laurel Garden Club.